Accounting essentially refers to that function of any business which closely deals with the essential component of business operations. Businesses, both big and small lay sufficient weightage on the Accounting function, mainly because recording, measuring, verifying, reporting, interpreting and communicating of financial transactions is considered to be the whole and sole, pertaining to a business. In order to better manage Accounting processes, firms are seen adopting cloud-based software. With cloud accounting, it’s easier to get real-time reporting and visibility throughout your business, with greater mobile capabilities and collaboration. Subscription-based models are popular among cloud accounting providers, and in most cases these are affordable than traditional accounting systems. 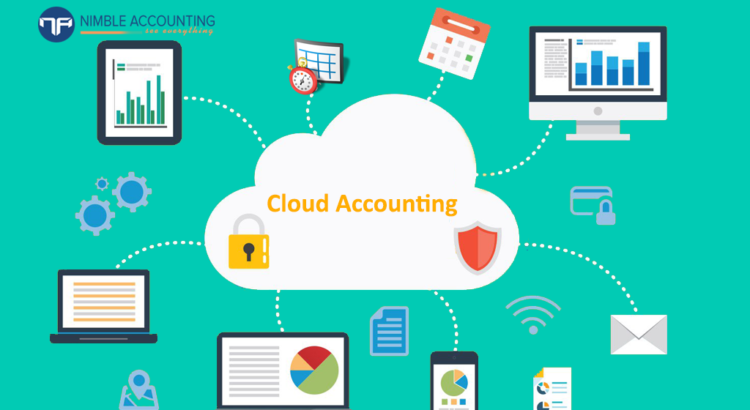 Cloud-Based Accounting is a process of recording, classifying day to day business transactions under one head in order to better implement changes and transformations that are likely to hit the firm in raising invoices, processing payroll and filing taxes. One very primary benefit that has encouraged companies to move towards a Cloud-Based Accounting system is mainly because it helps to reduce upfront capital cost and unpredictable maintenance charges, when compared to traditional accounting. What makes the Cloud-Based Accounting best buy? Compilation: Accounting is a broad function, which is exactly why a number of elements are directly or indirectly associated with the same. In order to achieve a desirable end result, linking all related financial parameters becomes mandatory. If Accounting based inputs are compiled over a cloud-based arena, planning as well as decision making would become an absolute cakewalk. Easy Access: Cloud service will give you the ability to access and leverage an advanced accounting technology on demand to build & strengthen your competitive advantage. Cloud-based accounting systems require little or no entry cost making access extremely affordable, easy, and headache-free. The most Comprehensive Accounting Software provide even Multi-user access, which makes it easy to collaborate online with your team. Greater Flexibility: Cloud-based Accounting systems impart a great deal of flexibility to your financial activities. As far as storage of excessive data is concerned, the same can be easily contained in the cloud-based platform, with a further liberty of up scaling the same. By making efficient use of the online platform for your Accounting needs. The beauty of the Cloud-Based software is the ease-of-use it gives users to run their business from workplace, home, or on the go. One can be confident that he/she have an up-to-date picture of how their business is doing, no matter where they are.